Fall Off The Bone Meats! from the slow hickory fire. Replace me with your own text for special hours and change "White" to "black"
If you’re looking for non-traditional barbecue in North Carolina BBQ country, yet still served with southern hospitality, you’ve found the right place! 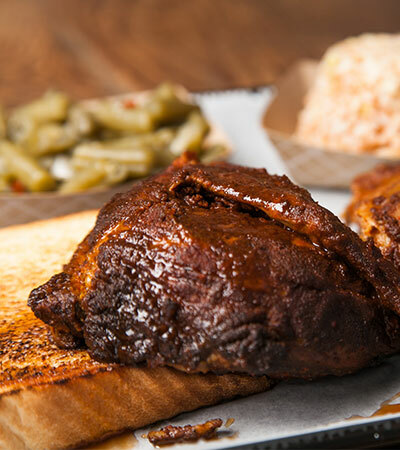 Not to be mistaken for its neighbors, either Eastern or Lexington style, Honky Tonk Smokehouse is a small, locally-owned restaurant with more of a Texas- or Memphis-style flavor. We warmly welcome our customers and treat them like guests in our home. We want to earn your business by providing a consistent product made fresh each day by people who care about your satisfaction. The greatest compliment we can receive is when new customers tell us that someone urged them to come in. 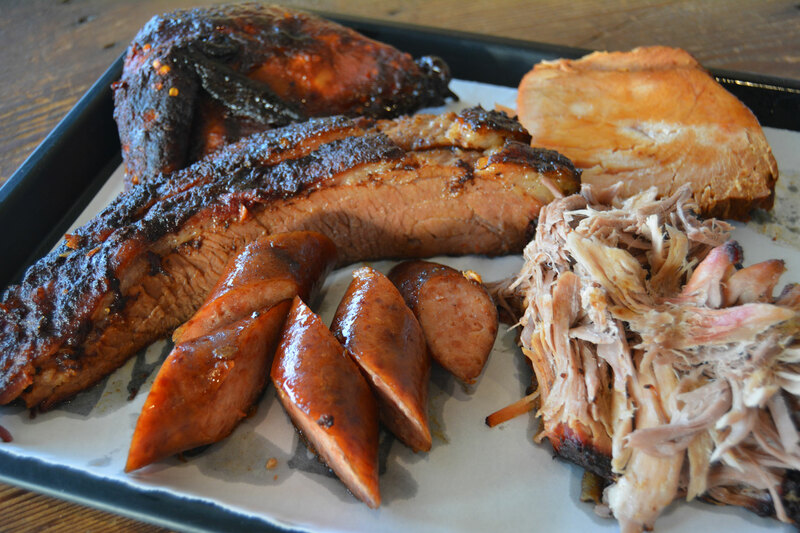 We smoke all our meats fresh each day on site. All of our sides and desserts are freshly prepared in the restaurant and taste just like your mama’s home cooking (or maybe better). Our sandwiches and sliders are available a la carte. Pair with sides if you choose. 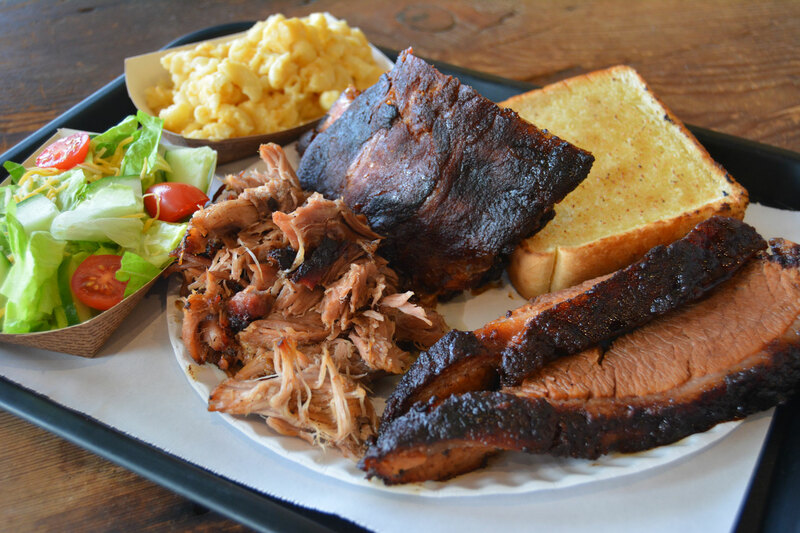 All our Platters are served with your choice of any two sides and Texas toast. Our sides are freshly prepared in the restaurant and taste just like your mama’s home cooking (or maybe better). Our desserts are made from scratch in the restaurant for fresh quality and terrific taste. Just wow! It’s ranked as my favorite BBQ place in WS. 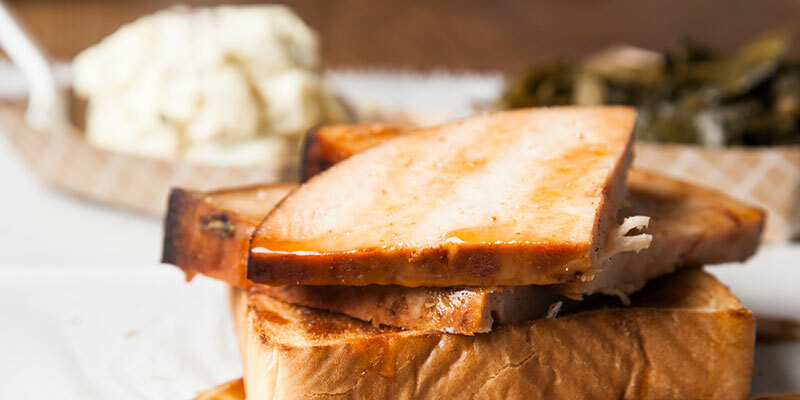 Each meat is tender, smoky and fall-apart moist with amazing flavor. The sides are AMAZING as well. I’m definitely going back here again and again and again and again. 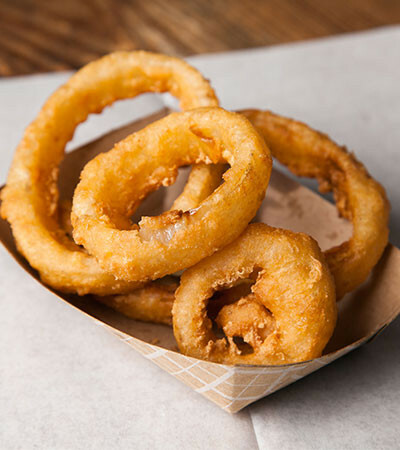 - Stephanie K.
I could have just eaten the side dishes and would still have given this place 5 stars. – C.C.S. 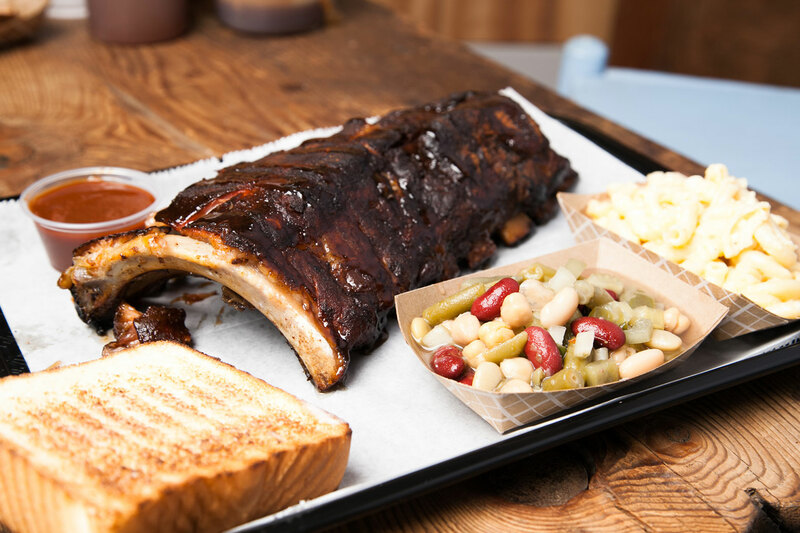 The way BBQ was meant to taste! – Jeff B.
Juiciest brisket ever! 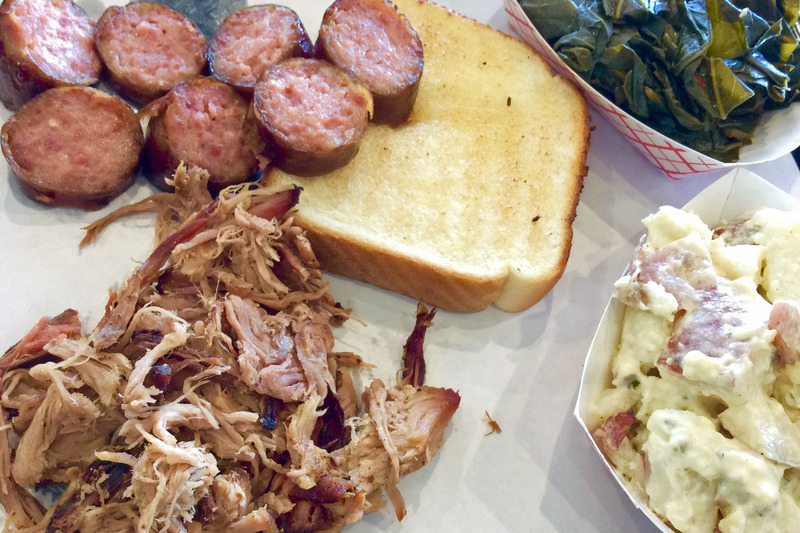 – Affiron P.
Fantastic everything, from brisket and pork to collards and cobbler! – Julie H.
I come here every week. It’s great. – Ryan S.